A Star Is Born: Judy. Barbra. Gaga. Judy. Barbra. Gaga. 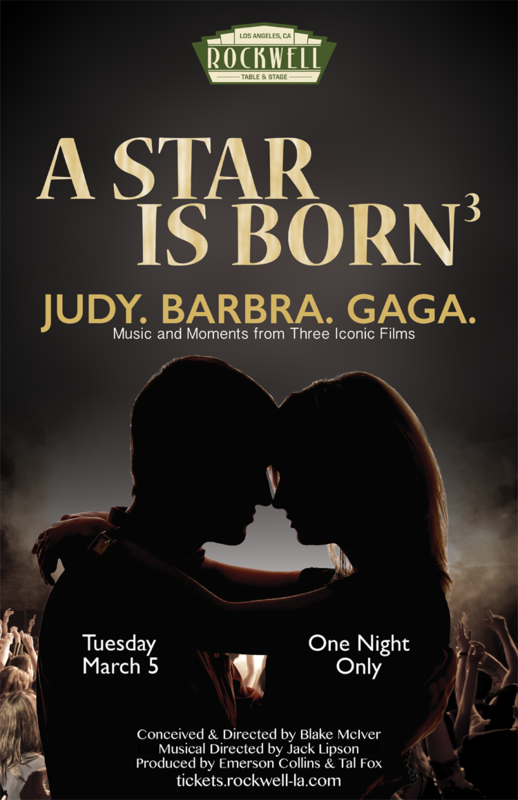 An evening of music and moments from three iconic A Star is Born films woven together as one story in a unique music and theatrical experience. Featuring a stellar cast performing the hits and heart-wrenching moments including The man That Got Away, Evergreen, and Shallow. © 2019 ShowClix on behalf of Rockwell Table & Stage. All sales are final. Tickets are non-refundable.